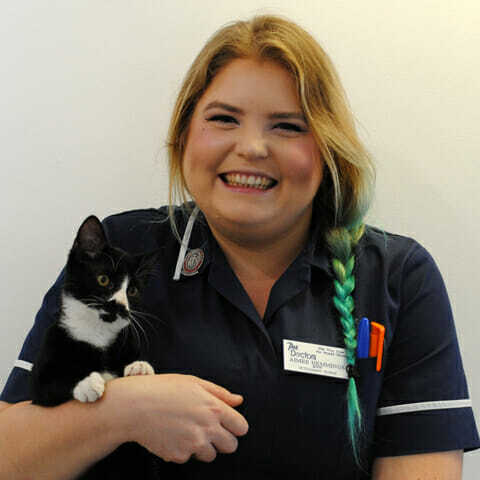 Aimée is our enthusiastic nurse at the Soham Pet Doctors; she qualified in 2017 from the College of Animal Welfare and spent a year in New Zealand. Aimée is enthusiastic about all aspects of veterinary nursing, although has a special interest for wildlife, medical nursing, anaesthesia and the golden oldie patients. She has an elderly black cat called Salem at home along with Scarlett and the newbie, silly Sid.